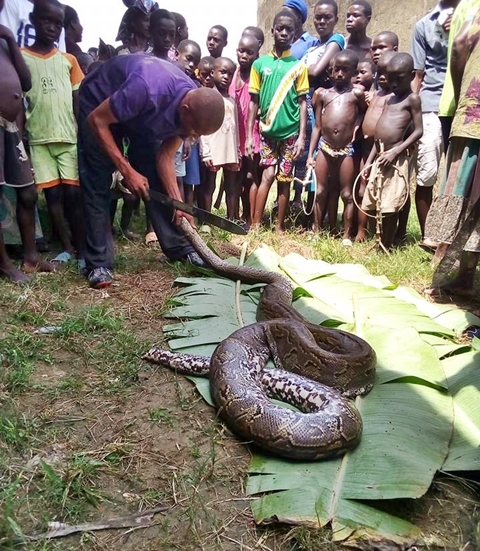 A huge python has ended up in the pepper-soup pot of a resident of Ofoni community in Bayelsa state who killed the reptile for meal. 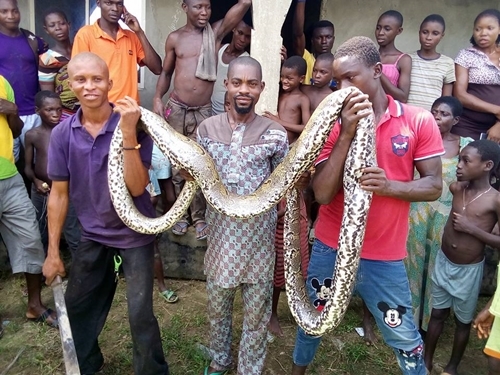 The local residents of Ofoni Community in Sagbama Local Government of Bayelsa State, were left in total shock after a giant python was killed in the community on Friday. It was gathered that the killer of the massive reptile used it for pepper soup.